On Tuesday, Rep. Ron DeSantis (R-FL) signaled his support for Congressional investigators to probe Democrat Rep. Debbie Wasserman Schultz’s role in the Awan Brothers scandal. This week, new Congressional documents revealed all 44 House Democrats who hired IT staffer Imran Awan waived the background check on the shady Pakistani national. CHAFFETZ: Hey, it’s Jason Chaffetz. Ron Desantis and I served on two committees together. And it’s good to see you and chat with you. Earlier we spoke with a “Daily Caller” reporter about the scandal on the IT side there in the house of 44 Democrats bypassing a background check, and consequently a major breach of data. 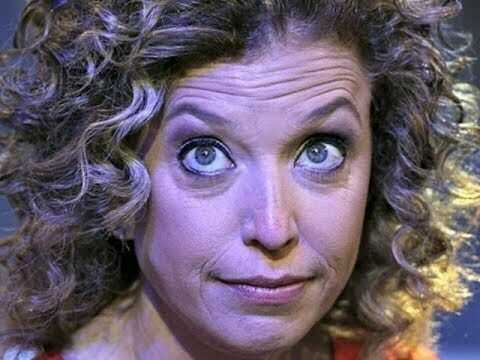 Is the oversight committee, is anything happening in Congress to hold Debbie Wasserman Schultz accountable on this? DESANTIS: Oh, I wish the oversight committee were looking at it. This is something that I think needs to be dealt with. I’ve requested the ability to do that. As you know, Jason, guys like me and even you as the chairman, we don’t just investigate what we want to. I mean, this goes through the leadership. It needs to be approved. And I think the House leadership has not wanted any of us to get involved with investigating this. But the number of issues that are outstanding from this are really, really troubling. I mean the background checks — these guys had huge red flags. You had some of the Awan family were getting paid six-figure salary and not even showing up. One of the guys was working at McDonald’s. They had this kind of fake car rental outfit. They’re going back and forth to Pakistan. Imran Awan had associations with a Hezbollah-linked figure in Iraq. They’re sending money overseas. His brother Jamal, who started working as a staffer in 2014, was paid $157,350.12 in 2016. Abid, who started working in 2005, was paid $160,943 in 2016. Imran’s wife, Hina Alvi, who was employed as a staffer since February 2007, was paid 168,300 in 2016. Rao Abbas was paid $85,049 in 2016. Abid, Imran, and Jamal Awan were barred from computer networks at the House of Representatives in February. The post Top GOP Lawmaker: Investigate Debbie Wasserman Schultz Over Role In Awan Brothers Scandal (VIDEO) appeared first on The Gateway Pundit.